In late September of 2016, the D’Angelo family moved from Naples, Italy to Playas del Coco, Costa Rica. Now they’re pumping out some of the best pizza in Costa Rica. Ristopizza Napolitano A Vit è N’Attim has been serving authentic Neapolitan for almost two years. This family eatery is an homage to their hometown, especially to the pizzas. Giuseppe D’Angelo, the father, is the one working the wood fire oven. He’s also proud to use natural yeast in his dough. The crust is incredible, full of nice air bubbles and burnt spots. Just how I like it. I went back two nights in a row recently and was able to try their classic Margherita pizza (5,500 colones or about $9. ), the Burrata pizza (9,500 or about $15.60) and the Carbonara pasta (5,000 or about $8.20). They were all absolutely delicious, especially the pizzas. The Burrata is a must-try. The crust crisps up perfectly in the woodfire oven, and the dough has a bit of that sourdough taste. It’s really something special. Every pizza you chose is handmade, simple, and topped with super high-quality ingredients that make a big difference. Everyone knows what a Margherita pizza is, a classic of Naples. The Burrata pizza, though. Oh man, you don’t find this everywhere. 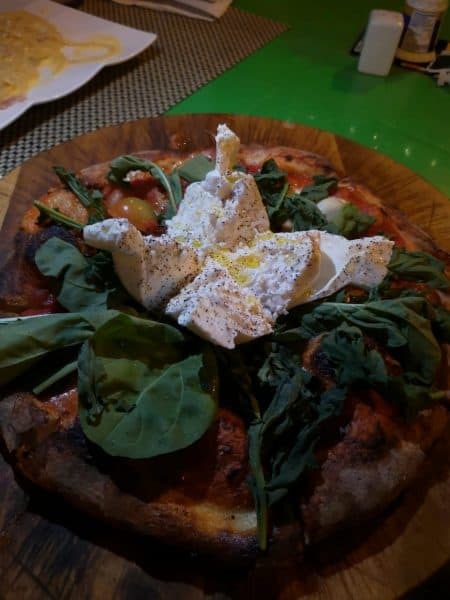 It has fresh tomato sauce, oregano, a whole ball of burrata cheese, arugula and olive oil. The Burrata cheese is so creamy that you can spread it around each slice. It is so rich and luxurious. This probably isn’t a pizza you can eat every day, but it’s a treat. While the past wasn’t made in house, the carbonara is rich and creamy with smokey bacon. It’s textbook and very tasty. The desserts on looked great too, but I was too full both times and was unable to confirm this suspicion. Most of the desserts had a price of 3,500 colones (about $5.74). They have a simple but sufficient beer and wine menu. They also made a great margarita on the rocks for my girlfriend. 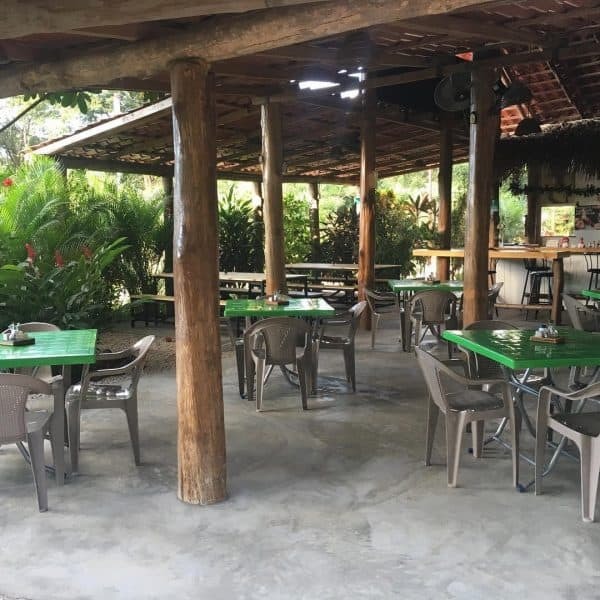 The restaurant is open air and very casual – but the view of the pizza oven in action, and plenty of greenery around the property, make for an enjoyable experience. 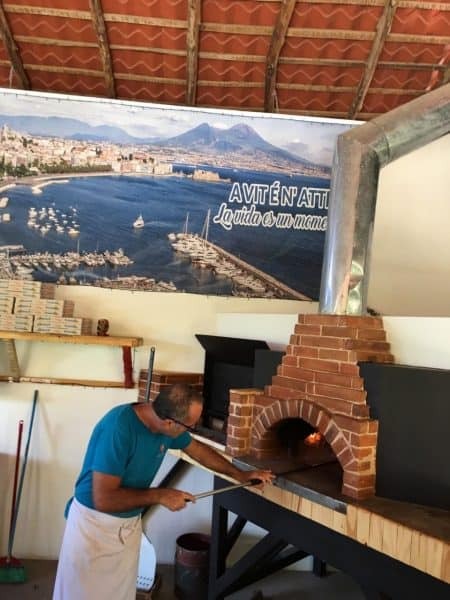 It’s also a unique experience eating authentic Neapolitan pizza in a tropical oasis. There is a large photograph on one wall, of their old home, the beautiful city of Naples. The sons take care of the table service and provide a friendly and efficient service. The soundtrack of classic 80’s hits was another interesting and enjoyable touch. I found myself helplessly singing along on multiple occasions. You have to drive right past this restaurant to arrive at Playas Del Coco so you really can’t miss it. It’s on the right side when you’re getting into town. It shares a space with RAW Fitness, which is like an open-air Crossfit boot camp. 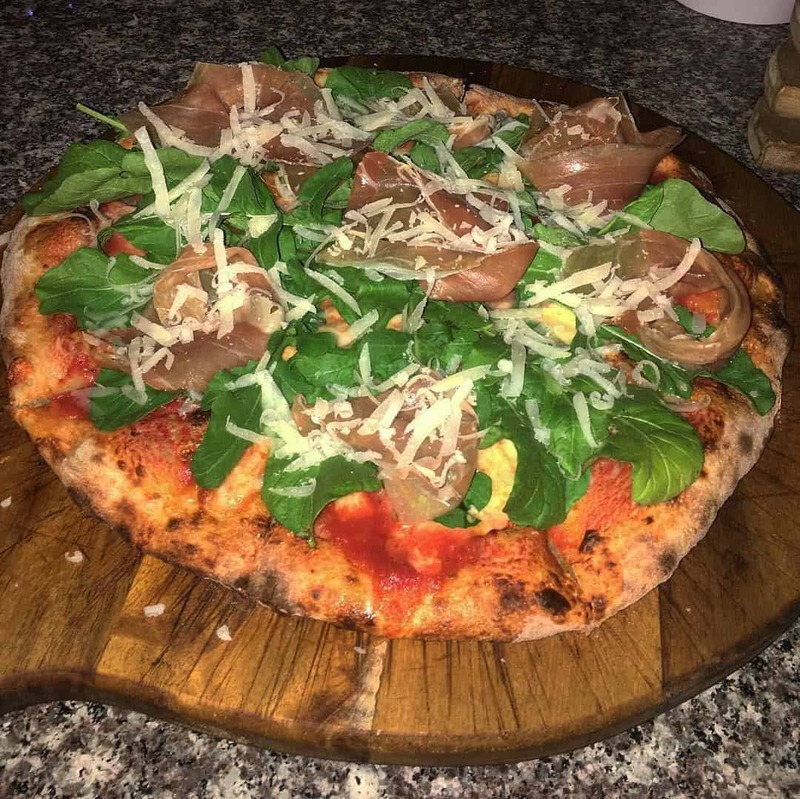 It’s not a place you’d expect to find an authentic Italian restaurant of this caliber, but there’s a lot of great Italian food in Playas del Coco. This spot is a newer player, though it’s no less deserving of a visit. Have a restaurant you think we should visit? Email us at OTEP@ticotimes.net.